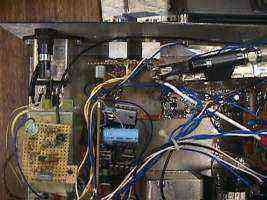 Select a picture for larger image. Tap point for the final (455 kHz) IF inside the PRO-2042 scanner. 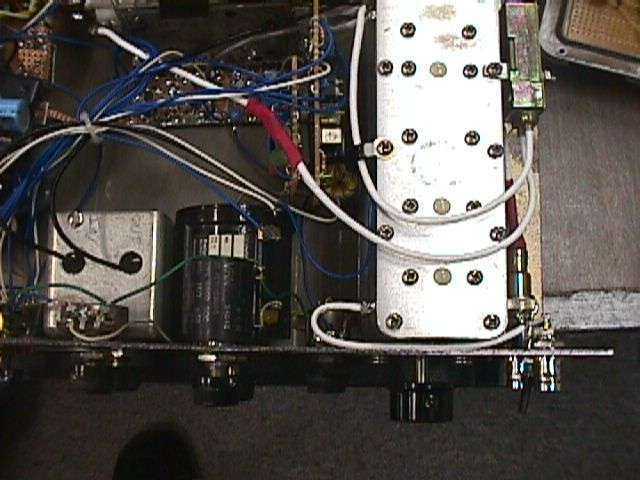 Additions include an input attenuator (120 dB / 10 dB per step), a 10 MHz marker generator, wideband IF filtering, selectable IF attenuation and a new power supply. 10 MHz marker generator on the left, power supply regulators in the middle and the big box on the right is the variable IF attenuator. 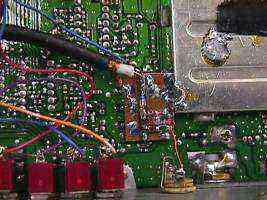 Multiturn tuning resistors and the step attenuator. 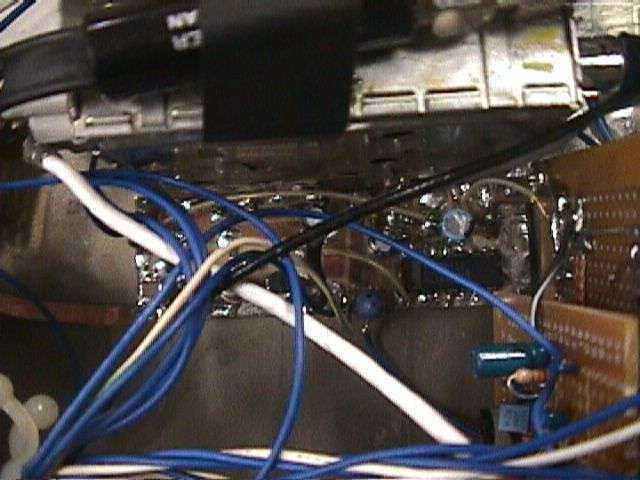 AC input on the right, the top BNC jacks are for the detector and the tuner is on the right. 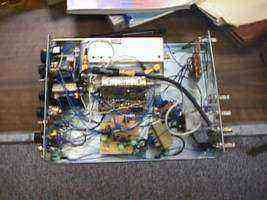 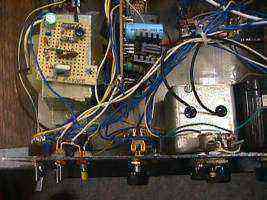 In the middle is the 1 kHz tone generator and the IF filers. 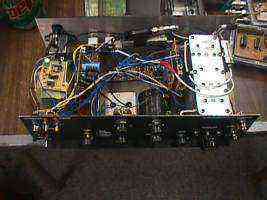 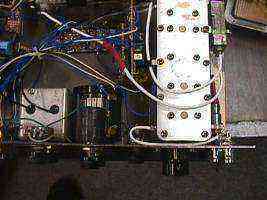 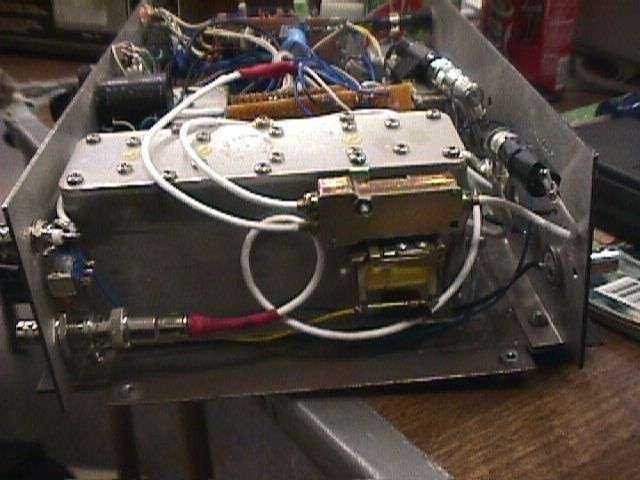 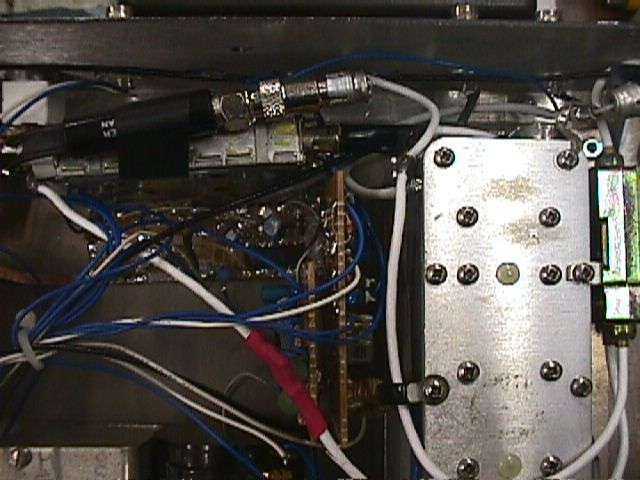 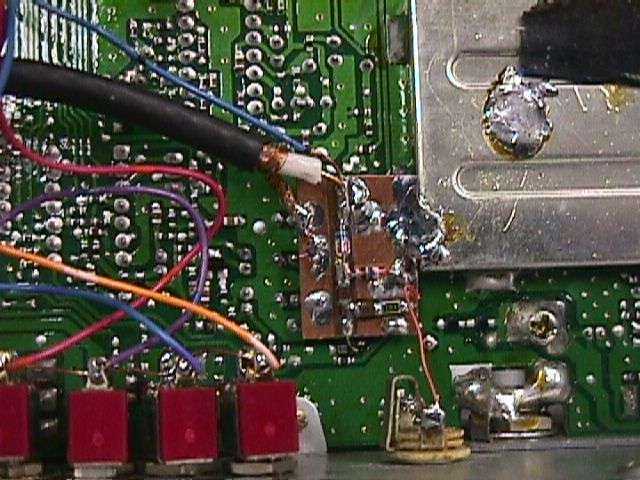 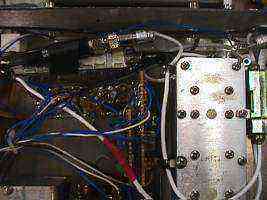 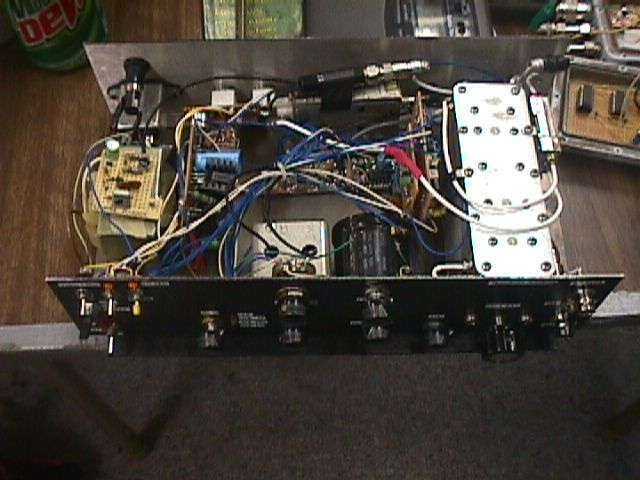 RF input switch for VHF/UHF and the tuner's oscillator output (bottom).